Air is used from powering pneumatic cylinders and actuators, moving chemical components and materials and end products. As the air is directly in contact with the end product, even small traces of oil, found in e.g. “oil-free” dry screw compressor air are detrimental to the end product quality. For years, companies have had to rely on 60 to 100+ year old compressor technologies which use oil in one form or another, opening a possibility of oil or other harmful components ending in the end products. These technologies are forced to use filtering which increases the total cost of ownership when the maintenance costs of the compressor are already high. 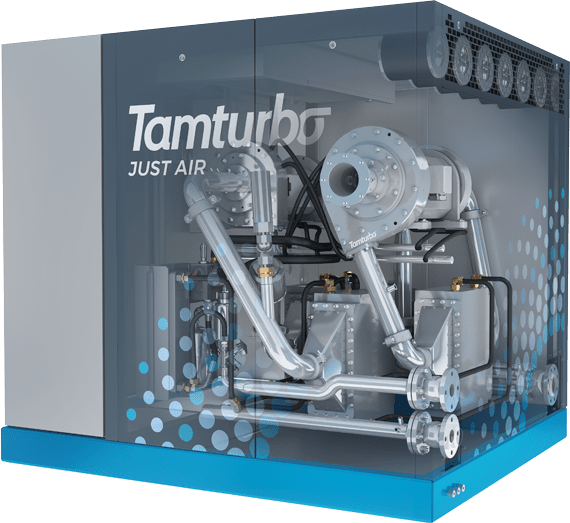 Using our 100% oil-free air compressors, you will eliminate the possibility of oil or harmful wearing coatings in the system and reach a better efficiency compared to old technology. Our compressor creates risk-free benefits for the pharmaceutical processing plants virtually with no maintenance. In medical applications the air is used to treat patients, e.g. in hospitals. Needless to say, that the already vulnerable end users do not benefit from oil or other contaminants entering their system. With our Touch-Free™ Technology, there’s absolutely 0% risk of contamination.